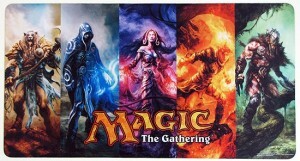 Magic: the Gathering | Millennium Games | Over 1,000 Games! 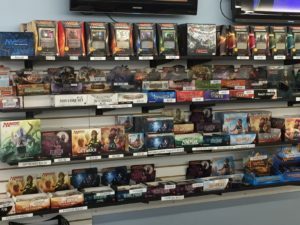 Rochester’s Largest Magic: the Gathering Store! For over 20 years, we have been Rochester’s largest Magic: the Gathering resource, with a full array of single cards, booster packs, starter decks, and dozens of events every month! We also buy single cards and whole collections for the best prices in the area! Whether you are looking to get started with your first deck, or you’re a seasoned pro looking for that one card to complete your deck, we have you covered. There has never been a better time to try out the world’s most popular trading card game! From starter decks to single cards and deck advice, we can help you jump into the Magic experience with ease! Our FREE Standard tournaments on Mondays are a great way for newer players to dip their feet into tournament play, and our Saturday Commander night offers a different way to experience Magic in a casual environment. Our staff is available during during business hours to answer any questions you might have and take the guesswork out of getting started. Join the millions of players worldwide and take your game to the next level! Singles, Packs, and Everything Under the Sun! Whatever you need for Magic products, we have you covered! Millennium has a full compliment of Magic single cards to help you complete any deck! We also have an entire wall full of booster packs, starter decks, Commander decks, and special box sets! Magic Events 6 Days a Week!